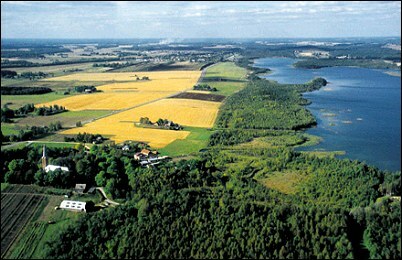 The landscape of the County of Jõgeva (area 2604 sq km, population about 40,000), stretching from the Centre of Estonia to Lake Peipsi, is very varied. On the Plateau of Central Estonia forests alternate with bogs and even primeval forest can be found here. Vooremaa with its beautiful glacial lakes is the pride of the County. 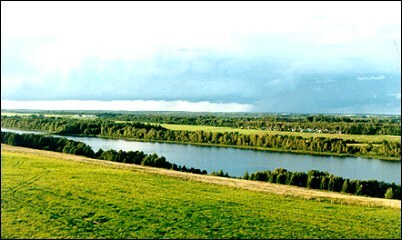 The Nature Reserves of Endla and Alam-Pedja are wetlands of international importance. 1. In the Endla Nature Reserve (8162 ha), covering three counties (Jõgeva, Järva, Lääne-Viru) the typical Estonian forest and bog landscape, now disappearing from the rest of Europe, have been preserved. Many nature trails of different length have been established in the Reserve. 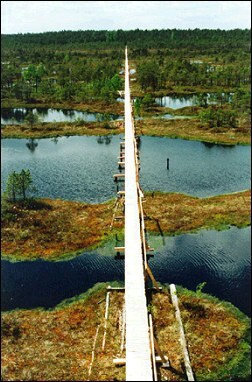 The 1.3km long Männikjärve Nature Trail passes along a plank road. 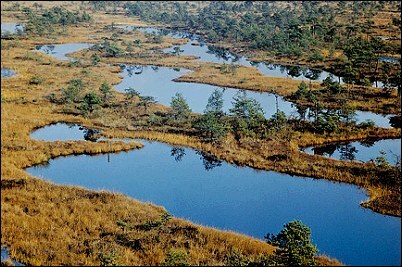 Here you will get an overview of typical bog landscape and characteristic flora. The biggest springs in Estonia - the Springs of Norra-Oostriku - are also situated in the Nature Reserve. From the observation tower, which was supposed to be under a special protection of Juta, the step-daughter of Vanemuine, you can observe the rich birdlife of the lake. 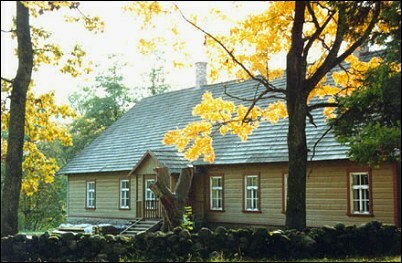 The Nature Reserve Centre is located in the former Bog Schoolhouse building of Tooma. 2. The Nature Reserve of Alam-Pedja (260 sq km) was established in 1994 on the border area of the Counties of Tartu, Jõgeva and Viljandi, on the untouched marshes of the riverbank and river valley areas. The Nature Reserve of Alam-Pedja is a wetland of the international importance protected under the Convention of Ramsar since 1997. 3. In the Landscape Reserve of Vooremaa (9932 ha) there are18 clear-shaped drumlins, 2.5-5 km in length, 0.5-0.8km in width and 20-40m in height with ten beautiful oblong lakes between them. Vooremaa, more than any other place in Estonia, is connected with stories of the national folk hero Kalevipoeg and the drumlins are locally called the furrows of Kalevipoeg. 4. Elistvere Zoo was established in 1997 on the former Elistvere Manor Park on the shore of Lake Elistvere. Here you can get to know local animals and birds. Currently European buffalos, deer, bears, lynxes and foxes are kept in the Zoo. The living conditions of the animals are kept as natural as possible. In the manor Park there is also the Study Center of Rodents, 2 nature trails and bird observation tower. 5. At the Museum of the Estonian hero Kalevipoeg you can get to know the history of the region, the recent history of Estonia and the legend of Kalevipoeg. 6. The first data about the Saare Manor dates from 1512. The Manor used to belong to the Tiesenhausens, in the 18th century it became the property of the Bocks family The Baroque Manor Heart was one of the most majestic of that time in Estonia. In 1823 the Manor became the property of Mantteuffels. 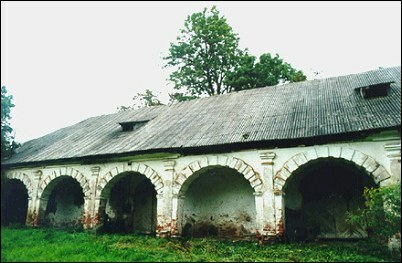 Many outbuildings were built. The main building, however has not been preserved to the present day. A magnificent park also belonged to the Manor ensemble. Currently the Saaremõisa Zoo of domestic animals is located in the former Manor Park, where domestic animals and birds are displayed. There is also the herb garden located nearby, where an excellent collection of herbs has been presented. 7. 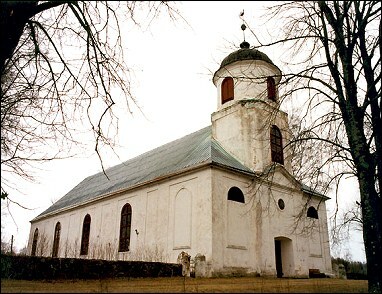 The Parish of Palamuse, made famous by the works of Folk Writer Oskar Luts, is one of the oldest parishes in Estonia, first mentioned in 1234. 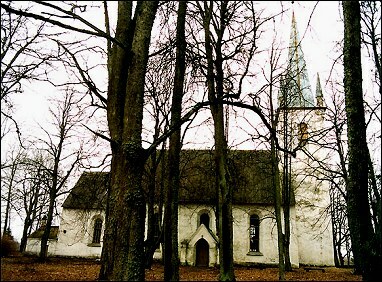 The Palamuse Culture Complex comprises of the Church of the Holy Bartholomeus with medieval gravestones and wooden sculptures of J. D. Neuhausen, the School Museum of the Parish located in the school house erected in 1873, pastorate building, barn of the church manor, pharmacy, watermill with mill lakes, Goldberg Villa and ancient church park with singing stage. The barn of the Rehe-Moldre also belongs to the culture complex, and houses the Glassworks of Palamuse where you can see glass pearls and glass paintings being made in the medieval way. If booked in advance you may participate in all the activities. 8. The Siimusti Museum of Pottery Products gives an overview of the history of Estonian pottery and the history of the Siimusti Pottery Industry. You can also see the Museum exhibition of the pottery of different nations. 9. Pakuvere Manor used to stand on the site of Village of Luua the in the 16th century. In 1519 Pakuvere became Ludenhof. The Estonian people renamed it more simply - Luua. 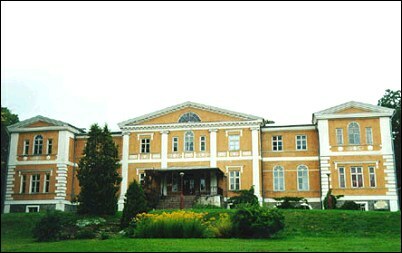 The Luua Manor Ensemble - buildings, park, forest park and landscape are the best-preserved examples of the Baroque-style in Estonia. There is a well-preserved wooden building with many decorations, called "the Gingerbread House". The many-species Park of Luua was built in the English-style of the period 1790-1820. 10. The area of the Arboretum of Luua is 8.5 ha and over 800 species of trees and bushes are found here from North America, Far East, Siberia, Central Asia and Europe. Visitors can buy young plants from the Nursery of the Arboretum. 11. 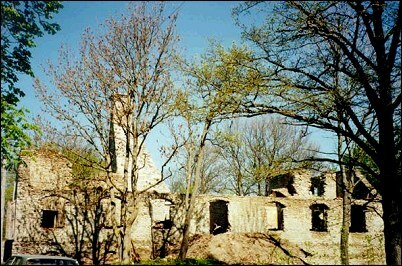 The Castle of Põltsamaa was built in 1770 on the ruins of a former stronghold. It was a typical 3-storey castle with a Rococo-style interior, which was considered the most beautiful of its age in the Baltic States. The Castle was destroyed in 1941 and its renovation started in 1970. 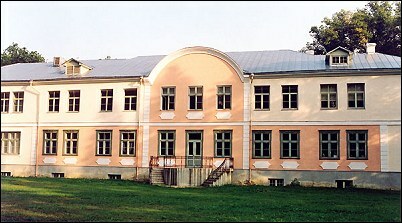 In the Castle courtyard there is the Põltsamaa Museum, the collection of photos of the Rococo-style castle play an important role in describing the history of Põltsamaa. 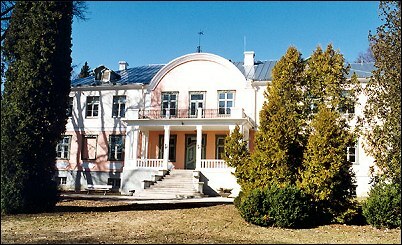 In addition there is a Wine Cellar, where wines of Põltsamaa can be tasted, and an Art Shop. In the Põltsamaa Rose Garden over 3000 roses grow; the collection comprises of 800 different rose species. 12. The Rannamõisa Sacrificial Oak is the most famous tree in the County of Jõgeva. This 15m Sacrificial Oak, situated on the medieval mound cemetery is considered to be about 400 years old. The legend concerning the birth of the Oak tells that the Russian Czarina Catherine once drove by that place in her carriage. The wheels and axles were made of oak timber. Near Rannamõisa the axle of the carriage broke. The axle was thrown into the ground and from it an oak grew. The ancient Estonians had a sacrifice place of the in the area and near the Oak there is a flat stone that is considered to be the sacrificial stone. 13. The first data of the Church of Kodavere dates from 1342. The current Church of Holy Mihkel of Kodavere is fourth church here, built in 1777. The Altar painting "Jesus on a Lake" (Junkers, Dresden), located in the Church, was made in 1877. The organ made by the "SAUER" company has two manuals and eighteen registers and has been in the church since 1902. According to the folk stories the previous name of the Church of Kodavere used to be the Church of Mihkli, as a man named Mihkel was walled into the Church wall, otherwise the Church would not have stayed up. What was built during the day, was destroyed during the night. 14. Formerly a 3-naved oblong building with a square choir the Church of Laiuse Holy Jüri was built in the 14th century. At first the Church was a defensive building. The Church was severely plundered in the Livonian War, Poland-Sweden War and North War. Major restoration took place in the 18th century, after the North War. In 1766 the vestry and the Burial Chapel of von Schwartz were built, and in 1770 the Western Tower with the round window was added. The Church was also burned during the Second World War, but has now been restored. 15. A beautiful road leads to the Kuremaa Manor, near which are situated a windmill and the Chapel and grave places of the Landlords Oettingens. From the Chapel an ancient alley of maples leads to the Manor. In a big park there is a typical landlord's house, with a museum room and a technical school; the gardener's house, dairy, cattle-sheds and stables have been preserved. The Beach of Kuremaa is one of the favourite swimming places in the County. 16. Kassinurme Mounts is a cavity-bulge-like elevation created after the melting of the inland ice. 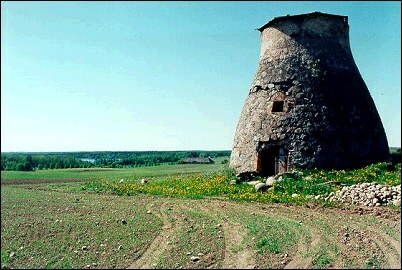 The peculiar landscape is associated with the Estonian national folk hero Kalevipoeg. Linnamägi (the Town Hill) depicts the bed of Kalevipoeg. There is a study trail of interesting natural and historical/cultural sights in the Kassinurme Mounts. An old cult area with a sacrificial stone is located here. 17. The 8km long street-village of Raja is an important sightseeing venue on its own. 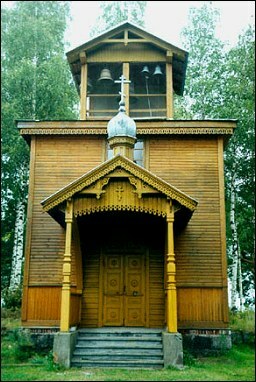 The Rajaküla Convent of the Old Believers and Bell Tower is an active sanctuary, where in the end of the 19th century Gavriila Frolov started a school of icon writers. The works of Frolov and his and his students decorate the sanctuaries of the Old Believers all over the world. 18. In the Museum of the Old Believers of Mustvee, located in the former building of the priest of the Sole Believers and border guards, you can get to know the history of the Old Believers and Mustvee. The Town of Mustvee has been called the Town of Ruffs and the Capital of Cucumbers, but it has always been a Town of Churches. At the beginning of the century there were still seven churches. Now only 4 active churches have been preserved: Apostle Nikolai Orthodox Church (1864), Mustvee Holy Trinity Sole Belief Church (1877. ), the Church of Old Believers (1930), Estonian Evangeline Lutheran Church (1880).